Firstly, Happy New Year to you all. We hope everyone had a wonderful Christmas and New Year and are fully refreshed and ready to participate in this year’s Flinders Football season. Stuart Gaitskell is your registrar for the 2019 football season. Our contact details can be found at the end of this page. If you have any queries, please do not hesitate to contact us. We are pleased to advise that registration for 2019 Flinders Football Club has opened. 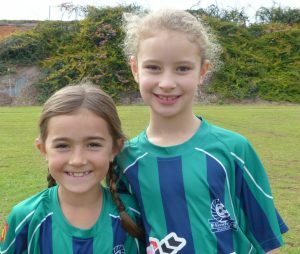 In order to register your child, please Register through the http://www.playfootball.com.au website. Our first matches will be held towards the middle of March and training sessions will begin on a staggered basis during February. The finalised dates will be advised as soon as possible. You may or may not be aware that Flinders Football Club is run totally by volunteers. Without the help of volunteers from the participating family members, we would not be able to run the Club. If you would like to volunteer as a Coach or Team Manager, please indicate this when registering your child on the playfootball.com.au registration form. If you are unable to volunteer as a Coach or Team Manager, we need volunteers in the canteen as we are required by Sunshine Coast Football to provide a canteen at all home games and will be fined if we cannot. A roster will be set up so that when we have `home games’, one or two of the teams will be asked to run the canteen that week. We only require ½ hour of your time and we only need approximately 2-3 volunteers for the canteen per team. To volunteer to help in the canteen, please indicate this when registering your child on the playfootball.com.au registration form or please advise your Team Manager when it is your team’s week to run the canteen. Your team will only be asked to run the canteen once or may be twice in the whole season. We look forward to your active support during the season. Returning players will remain in the same teams they participated with in the 2019 season and places in teams will be filled on a “First Come First Served” basis (i.e. registered and fully paid). We are pleased to advise that Flinder’s Football Club have launched an REBEL SPORTS Community Rewards program. In order for Flinder’s Football Club to earn rewards, simply advise at the time of paying for your goods at REBEL SPORTS that you would like the rewards to go to Flinder’s Football Club. The more rewards we earn, the more money the club receives from REBEL SPORTS. Once you have registered, a follow-up email will be sent after registrations have closed, advising which team your child is in, what clothing to wear, training start dates and other important information. Once again, we look forward to welcoming you back to Flinders Football Club for another successful and enjoyable season. In the meantime, if you have any queries, please do not hesitate to contact either of us on the details below.